Bad blogger, bad bad blogger. 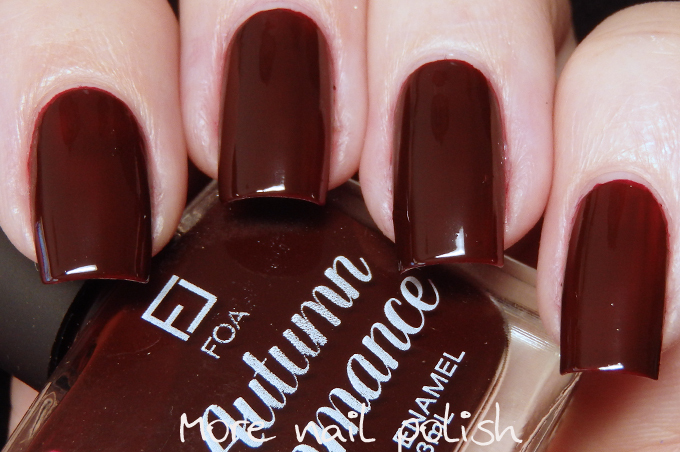 Today I have some swatches of the Face of Australia Autumn Romance collection, which I have been sitting on for a few months now. Yes. it is now the middle of winter and this was an autumn collection, but I'm pretty sure Aussies will still be able to find these in store, so I figured I'd still post them. Plus they are such gorgeous winter shades I couldn't miss posting them. There are six shades in the collection and they are all vampys that fit perfectly with the romance theme of the collection. Let's take a look. 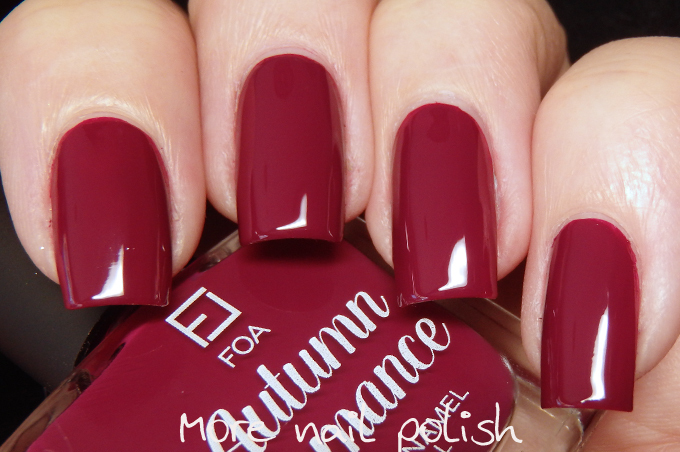 Captivating Cranberry is a rich and pigmented crimson. 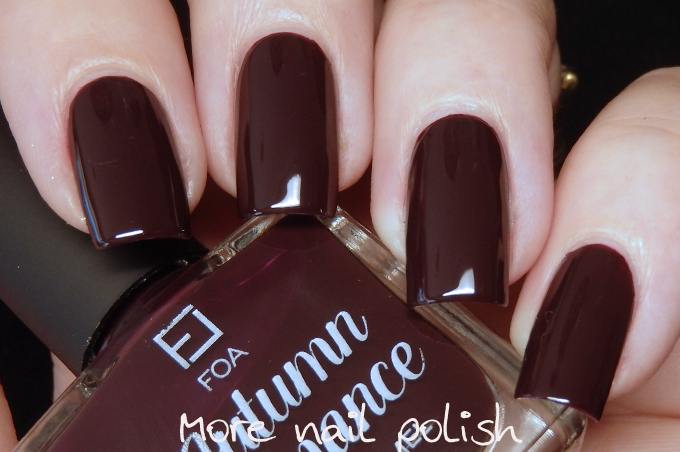 Enchanting moments is a dark aubergine with a purple shimmer. 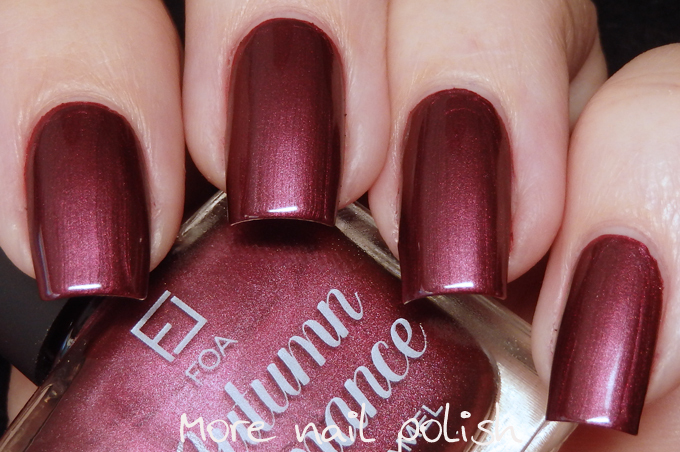 Kiss me at twilight is a burgundy red with a metallic shimmer. Mulled wine is a deep oxblood red. Rug up is a dark reddened brown. Snuggle me is a blue leaning cranberry. The formula on all these was excellent. Smooth and easy to apply with each polish being opaque at two clean coats. The two shades with the shimmer did show a little bit of brush strokes, but nothing that made the polishes looks streaky or frosty. These swatches so each polish at two coats with Seche Vite top coat. The collection was available from March this year. Stockists: Priceline Pharmacy. Big W, priceline.com.au, faceofaustralia.com.au, fashionaddict.com.au and makeupexpress.com.au. Every single one is beautiful, great collection.